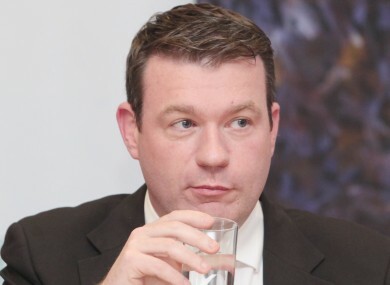 ALAN KELLY HAS been criticised after claiming that water charges have “gone off” the agenda. The Environment Minister made the comments in an interview with the Irish Times in which he said the issue, which dominated his first few months in office, takes up “3-5%” of his time. Kelly claimed that housing and homelessness now take up half of his time and said that he didn’t even know when Irish Water are planning to publish their latest payment figures. But opposition politicians have criticised Kelly’s remarks with AAA TD Ruth Coppinger describing them as “delusional and unbelievably arrogant”. “He arrogantly attempts to dismiss the mass opposition to water charges. However, this will be a major election issue,” the Dublin West TD said. A Right2Water march is planned on 23 January which Coppinger said would remind the government that the issue has not gone away. Meanwhile Finana Fáil’s environment spokesperson Barry Cowen said that by making the remarks, Kelly had actually put Irish Water and water charges back on the agenda. “He’s speaking out of turn. He’s not thinking. It’s him to trying to set the agenda but the people set the agenda,” Cowen told TheJournal.ie. It still remains an issue. It still remains very real in the lives of many and it’s very real in our opinion considering the amount of money continuing to be wasted. That’s why it’s our commitment to take it down. Fianna Fáil has said if in government it will abolish Irish Water and return responsibility for water provision to local authorities. Sinn Féin councillor Maurice Quinlivan, who is running for the Dáil in Limerick, said that Kelly’s comments are “utterly detached and arrogant”. It shows that the Labour Party is living in a dream land ahead of the election. Just because he wishes something doesn’t make it so. Email “'Delusional' Alan Kelly claims water charges have gone off the agenda ”. Feedback on “'Delusional' Alan Kelly claims water charges have gone off the agenda ”.